How should I plan for retirement as a business owner? Business owners, especially those heading up SMEs, have historically gone into business for a variety of reasons. Perhaps a desire to be their own boss, the consequence of redundancy, having a unique idea or even a happy accident. At some point, often as retirement approaches, thoughts turn to the value created and how to convert many years hard work into monetary value. Recent reports show that many business owners from the baby boomer generation are now reaching that stage and finding that they have not put appropriate succession plans in place before they retire. Due to this lack of foresight, a high number of businesses are struggling to find a suitable buyer and because of this, are often selling at what they consider to be too cheaply. Chairman of the Corporate Finance Network, Kirsty McGregor recently highlighted this issue, stating that with so many of the baby boomer generation reaching retirement, the lack of planning could put millions of jobs at risk. For those business owners who are approaching retirement there two main options – selling the company or selling the assets and placing the company in Members Voluntary Liquidation as the mechanism to extract the wealth created. 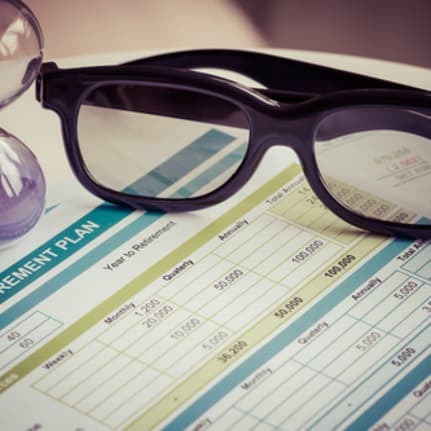 When assessing which option is best for your business, the question to ask is “how will I receive most value?” In order to achieve such value from a business, sufficient plans must be put in place a significant time before retirement – we would generally recommend five years to be an appropriate time period. The first option for business owners is the traditional business sale. When selling your business it is important to consider not only the price offered but also the personal elements of finding someone who understands the company culture, the team and is an overall ‘natural fit’. With that in mind, extensive research must be done on both the potential suitor as well as your own company. In choosing a Corporate Finance Advisor to support the sale of your business and carry out the required due diligence, you will be able to uncover any skeletons and any reporting or management inadequacies, meaning you can sell your business for a figure that truly reflects its value. With substantial preparation time, you can highlight and rectify any issues before the business goes on sale so that the incoming purchaser can get comfort that they are buying a company that has been well run. The alternative option is to sell the company assets and then place the remaining ‘dormant’ company in Members Voluntary Liquidation (solvent liquidation). In short, this process means converting the assets for cash closing down your company often creating a new company with the same assets but none of the liabilities for the purchaser to take forward. As a business owner, you may choose this option for several reasons. The first of these being because you haven’t found a successor that feeds into your company culture or is a natural fit for the current business model. Alternatively, you may have found a successor for your business, but in selling assets, the buyer avoids any related liabilities and as the owner, you do not have to deal with any warranties or guarantees hanging over your head were certain events to take place. In carrying out a Members Voluntary Liquidation, tax planning opportunities are also available to benefit the shareholders. In particular, restructuring could enable entrepreneurs’ relief, which means capital gains are only charged for 10% as opposed to 18%. Members Voluntary Liquidations can only take place if the company is solvent and the creditors can be paid within 12 months of the winding up resolution being passed. To carry out the liquidation process, you will need to appoint an authorised insolvency practitioner as the liquidator. The liquidator will determine the company assets before settling with creditors and distributing the left over cash to the company’s shareholders. Whether you decide selling your business or selling the assets will give you the best value, Shaw Gibbs can support you through the retirement planning process. Our Corporate Finance and Insolvency & Advisory teams work closely and can help you to capitalise the value of your business whilst mitigating any risks during transactions. For more information on selling your business, contact our Head of Corporate Finance, Clifford Brown via email or call 01865 292 200. Shaw Gibbs’ Insolvency and Advisory division have extensive experience in acting as a liquidators in solvent liquidations and can help to assist in due diligence, tax efficient planning as well as the formalities of the process. For more information, email Hayley Simmons or Clive Everitt, or alternatively call 01865 292 200.